Decoupage, decoupage, how I love thee! How fun is this little project from Country Living that popped onto my radar this week? Can you tell what is real or not (notice the Rifle Paper there)? 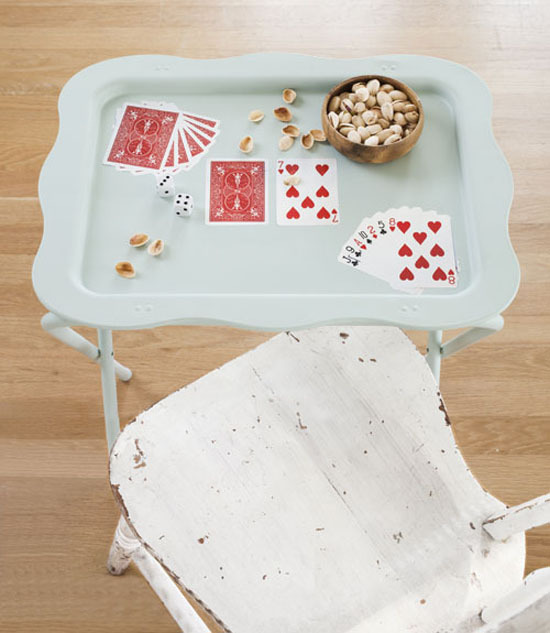 Love this idea – and really, if you have kids trays are the best aren't they? So how about a little decoupage for a project? 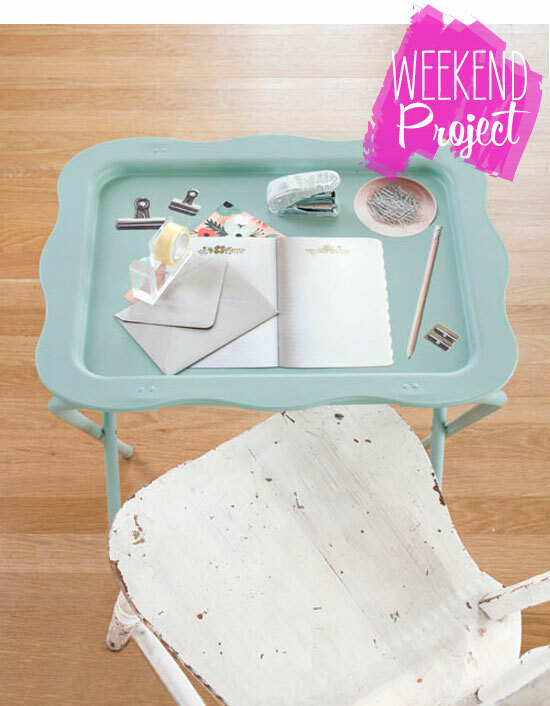 Mod podge your favorite stationery, cards or dinner setting onto a metal tray. (Speaking of Mod Podge - I ran into a homemade recipe here this week that looks interesting enough to try). Get the how-to and more inspiration (the possibilities are endless) from their instructions article here. (Photo's by Burcu Avsar for Country Living).